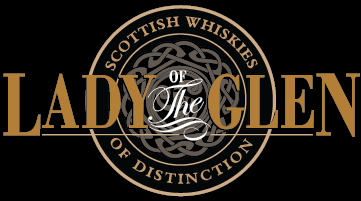 We love Lady of the Glen releases, Gregor Hannah just seems to pick the best casks, and everything released from Lady of The Glen so far has been perfect! The whisky always has the right balance, the most complex flavours, they right amount of heat, taking only the best attributes you would expect to find from the distilleries character and wrapping them up in a silky bow (I’ve added the bow, but you get the picture). So you can only begin to imagine how excited we were when Gregor wrote to say that he was about to release an extremely rare 1987 – 26 year old Bunnahabhain. Their first ever Islay whisky! We love, love, love Islay whisky and could not wait to try this. Unfortunately our first sample never made it to us, apparently some had leaked and The Royal Mail and thrown them away, cruel but true! However, Gregor being the gentleman he is soon dispatched another to us and here we are. So sit down, grab a dram and read away. Distilled on the 16th November 1987 and aged in a single refill American Bourbon cask, number 2470. It has been bottled at cask strength and there has been no colourings added – this is non-chill filtered and is Lady of The Glen’s first Islay release malt Whisky. The cask yielded 205 bottles. Bottled at 50.01% and available from Lady of the Glen directly here priced at £130 for a 70cl bottle or £65 for a 20cl bottle. Each bottled comes individually numbered and with its own bespoke bag. Bunnahabhain translates from the Gaelic ‘The Mouth of the River’ and it was founded in 1883 on the North of Islay. Built during the 19th Century Whisky boom, there are only around twenty other distilleries in Scotland created during this time which are still active now. Bunnahabhain is fortunate to be amongst these century old distilleries as it was mothballed it 1999. Enjoy the Vanilla ice cream and banana sweets on the nose. Velvet smooth and luscious on the mouth with maltiness and the slight hint of smoke at the very end on the palate. With a drop of water more sherbet sweets on the nose and more floral notes while on the palate there are more exotic fruits and melon. Bunnahabhain is a fantastic distillery and has a very distinctive Islay characteristic. Independent Bunnahabhain’s this old are pretty rare, and at 50.01% it kept a good strength that belies its age. With a fantastic natural colour we cannot wait to try this. Although not on general release yet, from the original 205 bottles only 150 are left, if you want this you had better be quick! An initial rich, chewy treacle note for me, lovely tangible sweetness, and the faintest touch of old leather dog collar, warm and musty, before rich stewed dark fruits come through. There are sugar soft plums and rich cherries, and oh so many spices. Cinnamon, nutmeg, all spice. Just as you are feeling festive in comes bananas en masse, fresh bananas, overripe banana’s, banana bread, even a little synthetic banana milkshake and gentle fresh vanilla, all fighting for supremacy against those lovely thick Christmas notes. Think a Christmas cake on holiday to the Caribbean and isn’t coming back! It’s seen the tropics and it loves it! This is so smooth, the heat of the ABV really doesn’t kick in for a good five seconds at least. The sweetness as promised on the palate is first to come in. There’s sweet heather honey, there’s dark black treacle, and then vanilla comes in playing a big drum filled with all spice and ginger. Then a change of tempo and there is an aniseed note with cigarette papers, before making way for raisins, dates, orange peel and damsons. Yet still it’s not finished, banana’s from the nose come through in abundance and with it is a little coconut dryness and some fresh papaya. There is a gentle milk chocolate and Horlicks malted note underneath it all and there is a nod to the cask with both damp and fresh wood, somewhere between the forest and the flooring area of B&Q! The soft leather on the nose becomes more present bringing forth rich tannins, like a good strong cup of tea that continue on and on. Long and lingering, thick and chewy and ever changing. There is so much vanilla sweetness but it is perfectly tempered by the massive battle between the dark side, with dark fruits, molasses, rich spices and lighter tropical notes found with the banana’s, cocoanuts, cream and slight perfumed notes. There’s a touch of savoury there too, with a gentle saltiness, which dance with the spices on your tongue. “Oh it’s good, oh it’s really good”, was genuinely the first thing I said after my initial taste, in fact I enjoyed it so much that I didn’t even bother analysing it, I just got caught up in the taste and the texture. Surprisingly smooth given the ABV. Another sip found it just as amazing, so complex, so much flavour packed into one mouthful, tropical fruits, Christmas cake, honey, a touch floral and perfumed, spicy yet sweet and the finish…superb! I can’t remember another Bunnahabhain I have ever enjoyed as much. I NEED to have this and trust me, after just one mouthful so will you! Wet varnish, newly dried gloss, banana, pineapple and notes of milk chocolate. Some fresh cut wood and lots green apples at the back along with some freshly rained on forest petering of into sumptuous mango. The fruit from the nose is the first thing that hits you but it slowly makes way for a heavy hit of wood from the cask. Very smooth considering the ABV. Some tangy tropical fruit reappears along with milk chocolate and a hit of fresh air. A tiny amount of menthol but it’s hardly noticeable. This finish on this dram is very appropriate to the palate, more of the same as it diminishes into nothing. Once you have taken a sip you will want another but once the glass is empty then you will feel satisfied. A decent Bunnahabhain with an interesting price point. I would happily have one as a gift, but I am not sure that I would purchase one at that price. If you really like old Bunnahabhain’s then this is definitely for you for, but personally it isn’t my own usual style of whisky. A big thank you to Gregor Hannah of Lady of the Glen (@LotGWhisky) for our sample and the request to review.